Every now and then, I decide to step outside the confines we draw around ourselves. This month has been enervating, tiring, exciting, and promising. 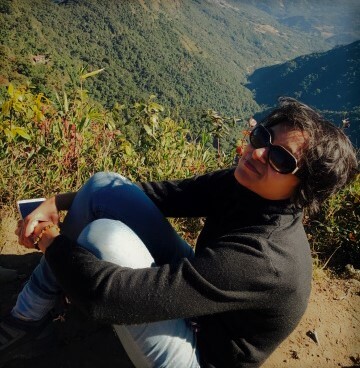 This month started off with me being angry – after a long time – and I sat with that anger. I didn’t react. Previously, I had turned to drugs of comfort – smoking or alcohol when I needed to be comforted. These days, I don’t do either of those. What have I been angry with? I am angry with my malfunctioning liver that makes me monitor half the time what I eat and what I need to avoid. I am angry at hearing the same stuff from people even after a year that I thought would be banished forever. So, to rid myself of the toxic anger, I want to do something different. So, here’s my plan. I will cycle from Bangalore to Mysore in a day, all of 150km+. Why is this insane? I finish a HIIT running session in the morning. Can these legs do it? Will I be smiling still on Friday? I am not a cyclist. The last time I really cycled was ironically also in anger in May last year. I haven’t been on a cycle at all unless you count gentle ambling in the Maldives in April. I am a runner. I use different muscles to a cyclist. Running is a whole body exercise, utilizing the core, back, hamstrings, glutes, and calf muscles. There is something primitive about running that I love – the DNA of it imprinted in us from our ancestors. I am fairly fit. Well, ok, I am trying to be fairly fit. But I am not cycle-fit. A cyclist uses a lot of the quadriceps. Not me. I would be pushing myself to use my quads in ways they haven’t been used until now. And sigh, you get a runner’s high when you run. But ever heard of a cyclist’s high? Running is more intensive. 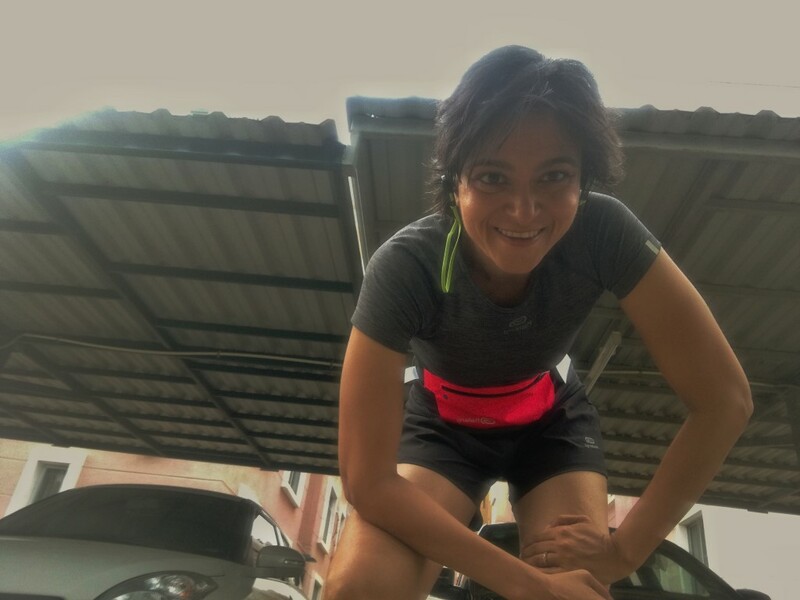 A run of 10k for me in 60 minutes is about the same as 2 or 2.5 hours for a cyclist. That’s why cyclists have more endurance and stamina – while runners burn more calories in less time (depending on lots of other factors including terrain and fitness). Runners can ruin their knees. I have an ACL tear in my left knee that doesn’t allow me to put pressure. Can I really ask that knee to put pressure the way you have to on a pedal? I have been running a 10k once a week for a while now, but is that enough? Can I push myself to be on the road for more than 7 hours? Do I have that endurance? Over the last year, I have eschewed weights and any form of machine training, focusing entirely on callisthenics and bodyweight workouts. I can knock off 300 pushups and do pull-ups as a result. This is the first time I will be using a machine in a year. Can my back handle the unnatural hunched-up position? I want to find out. I don’t even have a cycle and will be renting one. But I am going to do this. So, on Friday, the 27th- a number 9 day for me – I will set forth. This will be a gigantic farewell to those who say they are “happy” without me in their life. This is my giant FU to the Universe that led me on a false, merry dance. This is my FO to my body that dictates what I should eat when. This is my FO to my own willpower and discipline, which had been lacking in the recent past. This is my way of saying, “Let there be new beginnings.” This is me wanting to take control of my own life. 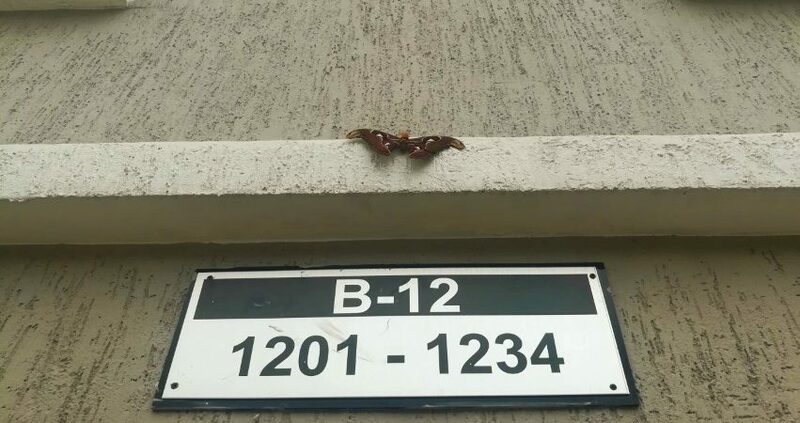 And is it a sign? 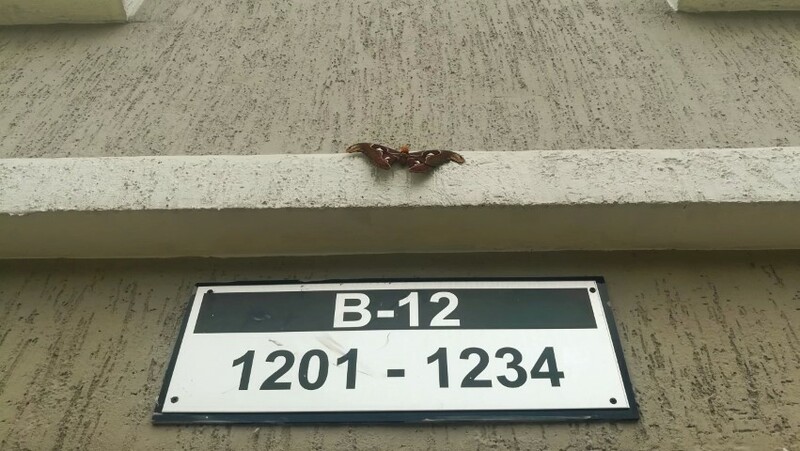 I had to smile when I saw this gigantic moth today morning, and the numbers below, perfectly telling me, 1,2,3,4 – Go. Will you cheer for me? Thank you and dear Spikey for supporting me!! 93 miles is quite a way, but if there are no large mountains or headwinds, you should breeze through. But, please, listen to your body as you go. Is there a train back home or will you ride the round trip? As you ride, think how good that cold beer, yes beer, will taste when you arrive. And maybe some electrolytes, too, along the way. Haha. I made a mistake in taking the wrong route – hills, hills, and a lot of headwind. Sigh. You want me to do 300km in 2 days? I can.